Are you new to the world of Social Media? Do you want to stand out and crush it? When we first started building our business online, it felt so overwhelming! We wanted results and we wanted them yesterday. So we went to Social Media to sell. Basically we were running our newsfeed like an infomercial channel (which is no good of course). 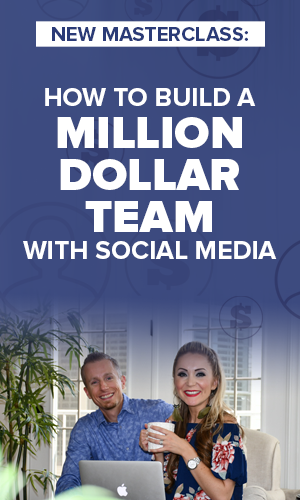 One of our biggest breakthroughs came when began to look at our Social Media as a bank account. Can you withdraw from an empty account? No. The same is valid for Social Media. You can’t expect to grow and monetize your content, if you haven’t invested in building your audience. 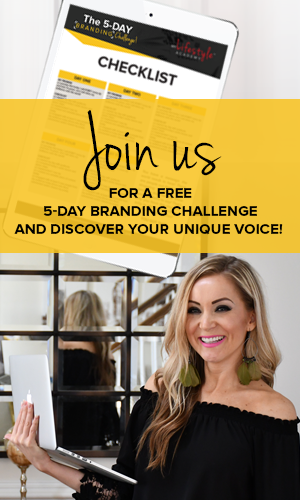 So inside the training and the article today, we’ll share with you 6 of the BEST ways to stand out from the crowd online when you’re just starting out to you can create success in your business! Let’s dive in! You might think your story isn’t all that interesting but we know that it is! And if you want to gain the trust of your audience, you need to tell them who you are! Feeling nervous? That’s normal! Especially in the beginning, when we worry about what our existing friends will say about it. But that’s just part of the process. Remember: Faith it till you make it, and be as authentic as possible! Does the idea of making videos give you the heebie-jeebies? We’ve all been there. But the important thing is to do it anyway! When we started creating videos, they were brutal. We didn’t have energy, the lighting wasn’t that good, and sometimes it was hard to hear what we were saying! At some point we even got the nervous finger syndrome. So we deleted a good chunk of our earliest videos… A bit of advice: don’t do that! It’s a great way to look back, laugh at your mistakes and appreciate how far you’ve come! And if you’re still nervous, imagine that you’ve already made it. What videos would you do and how would you behave if you knew that 10,000 were going to tune in? Are you posting and ghosting? How many people have you spoken to in the last week? How about the last month? Those numbers will tell you if you’re doing well or not. Because building relationships is one of the most important things you can do for your business! Here’s the thing: most of us don’t start with a lot of social equity. But if you want to achieve success, you need to put yourself out there and talk to people! Even if they don’t buy your products or services right way, always have the mindset that at some point, they will! One of the easiest ways to start conversations and engage with people is through Story-telling. Use Facebook and/or Instagram Stories to let people in! That way they’ll get to know you, like you and trust you. And you know what that leads to, right? Growing your business and making a lot of money! Are you a flip-flopper? Do you say one thing but do another? If you want people to show up for you, you need to show up for them! It’s that simple. How often do you project? Once a day? Or a week? 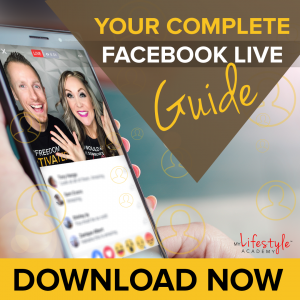 What we recommend is to go Live 30 days in a row, so you can find your voice and build habits for success. After that, ask yourself how many times in a bad week, can you still afford to go Live? Then schedule it in, and execute! So simple, right? This is a strategy we’ve been embracing lately, and it’s AMAZING! Ask people you find interesting, if they’d be willing to join you for a broadcast. You’d be surprised how many people would say “yes”! Then prepare a few questions and just go Live! Your audience will absolutely LOVE the value! And that is what will make them come back again and again! Remember: you’ve come a long way, so make sure you keep going in the right direction! Which tip will you implement first? Let us know in the comments down below! And if you found value in this video and article, share the love with your teammates! Let’s CRUSH it! Want to Know What Tools we Use to Build Our Business and Our Brand? Resources – we often get asked what tools we use and recommend, so we put together one page with all our favorite resources. Enjoy! Feel free to share this with anyone who might enjoy it and also comment below on your favorite tip or your biggest takeaway. We can’t wait to see your comments! 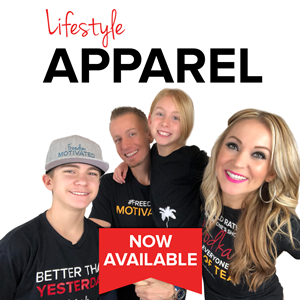 Our mission is to teach you how to build a business that gives you FREEDOM with your time and FREEDOM with your finances. PS: We Don’t Use Facebook to Sell our Business or our Products, However, We Generate Lots of Revenue from Facebook Every Day. So How Do We Make Money Without Selling Anything? 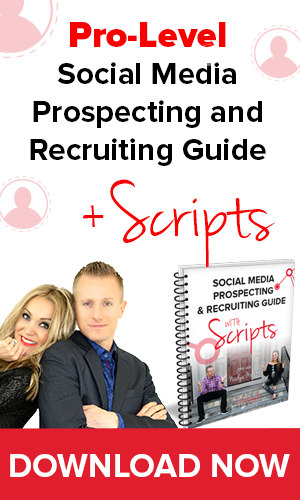 Click Here to Download our Social Media Prospecting and Recruiting Guide with Scripts (for FREE) and Get Our Trade Secrets. If you enjoyed the video 6 Easy Ways to Stand Out on Social Media, be sure to like, share or comment below! Let’s crush it!